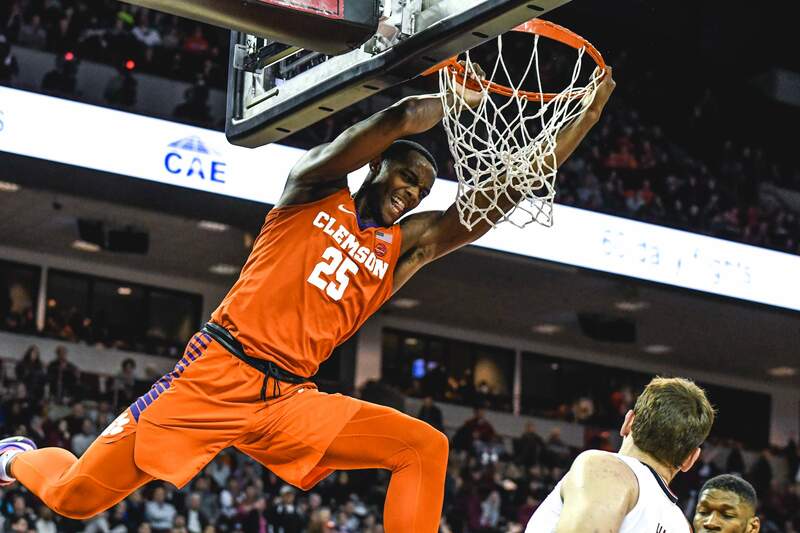 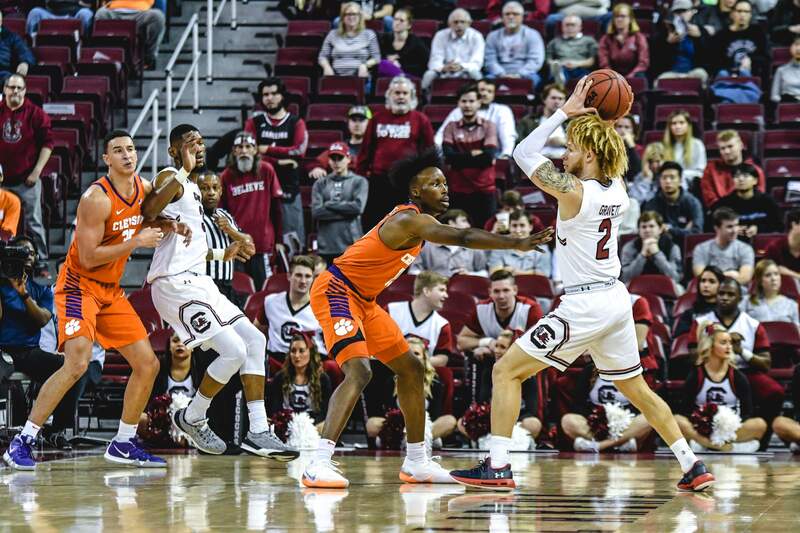 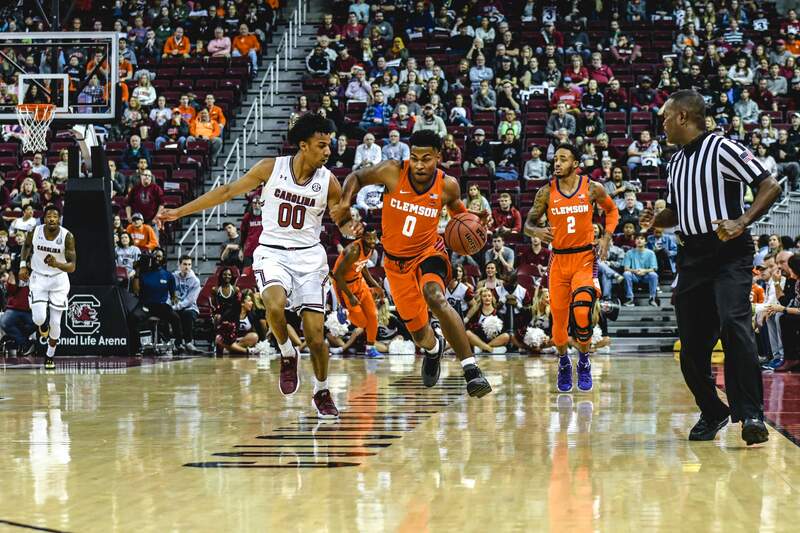 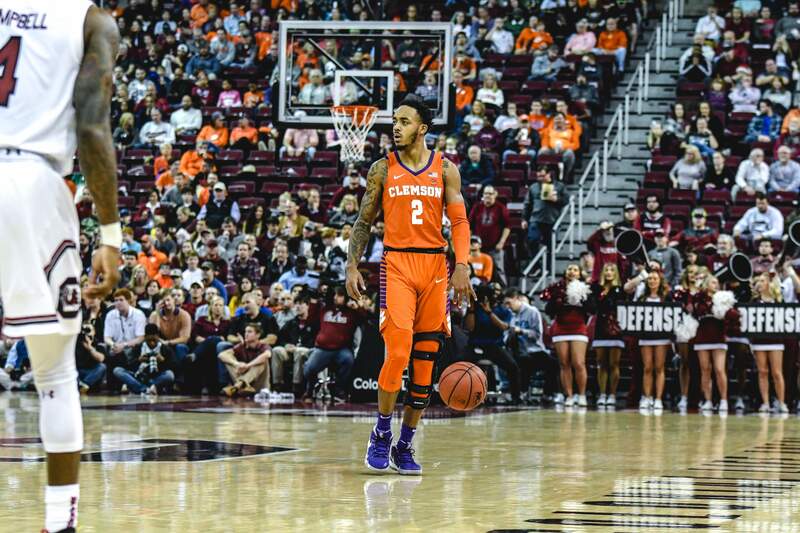 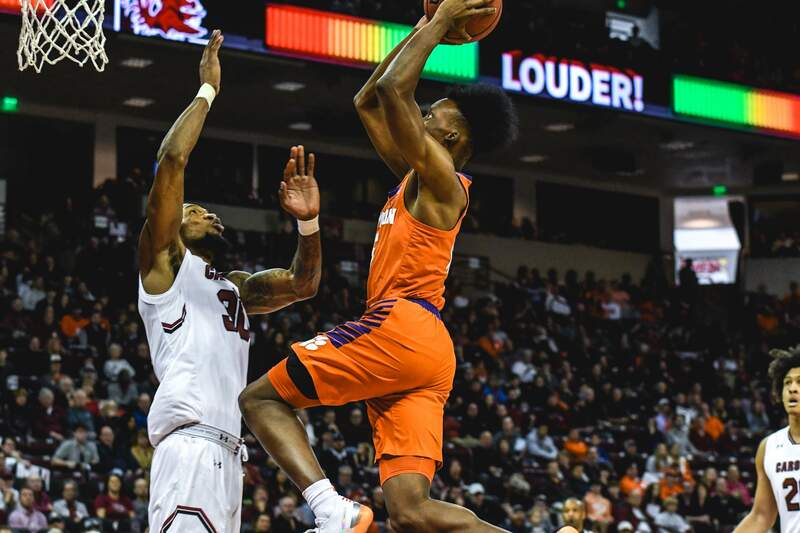 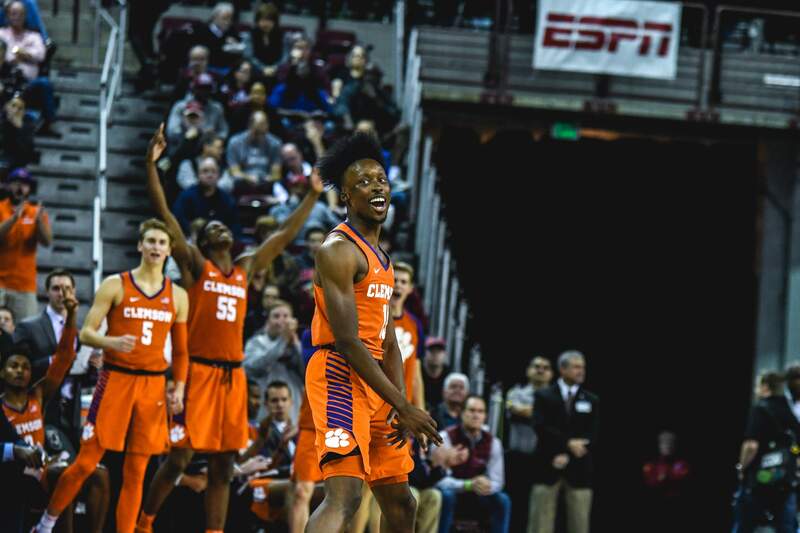 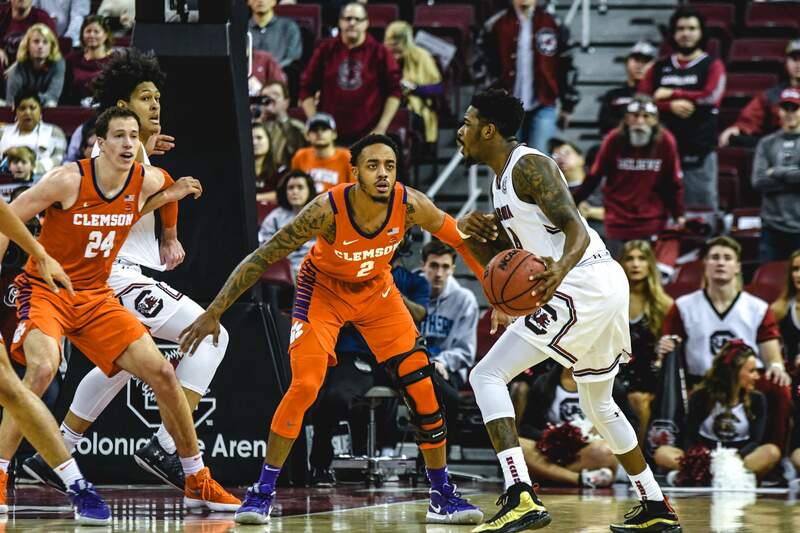 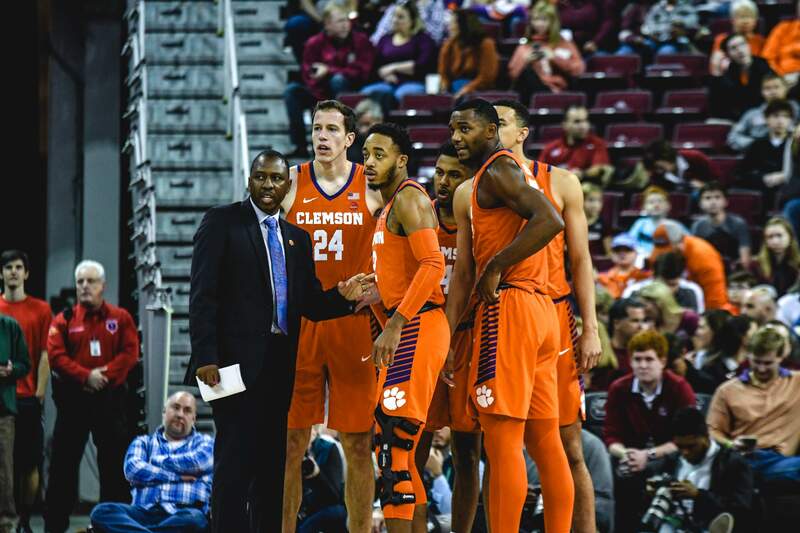 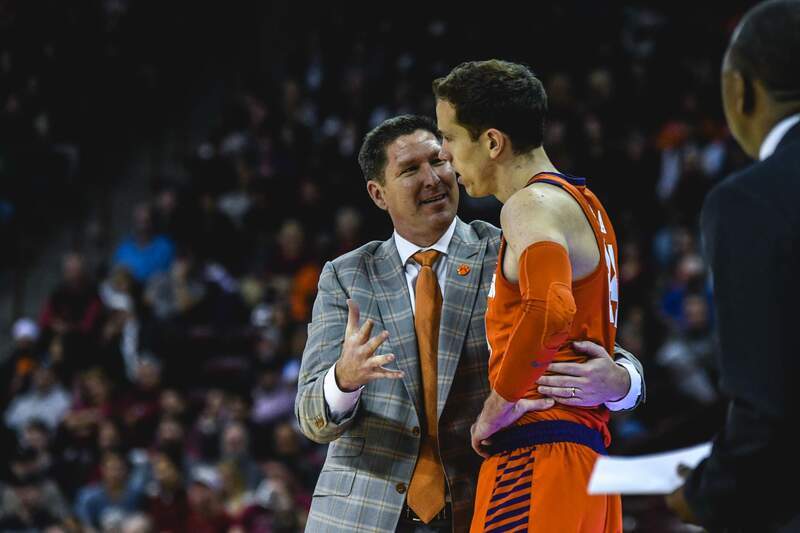 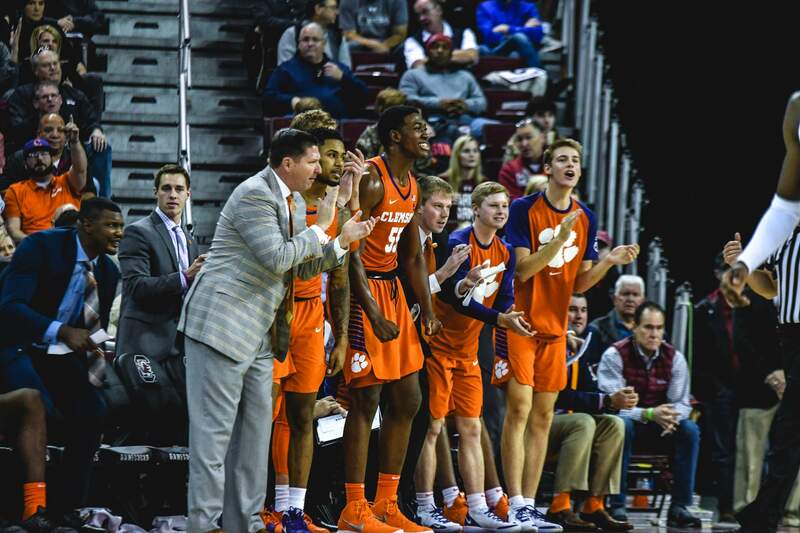 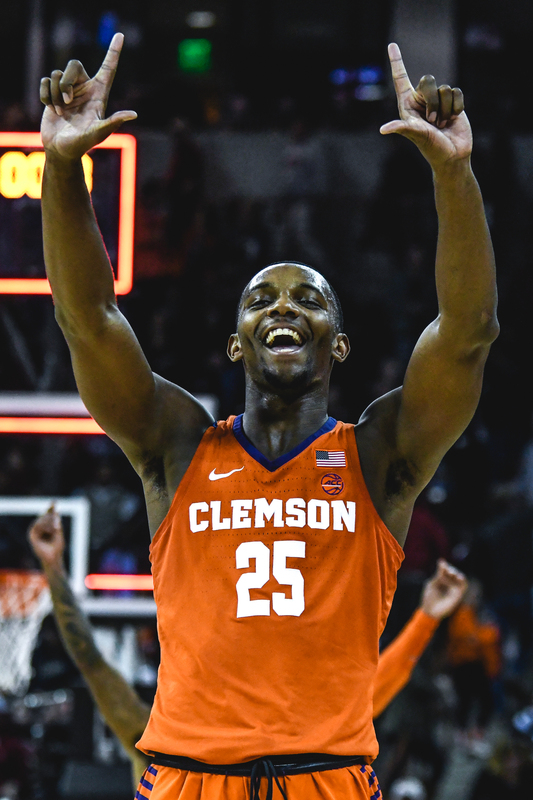 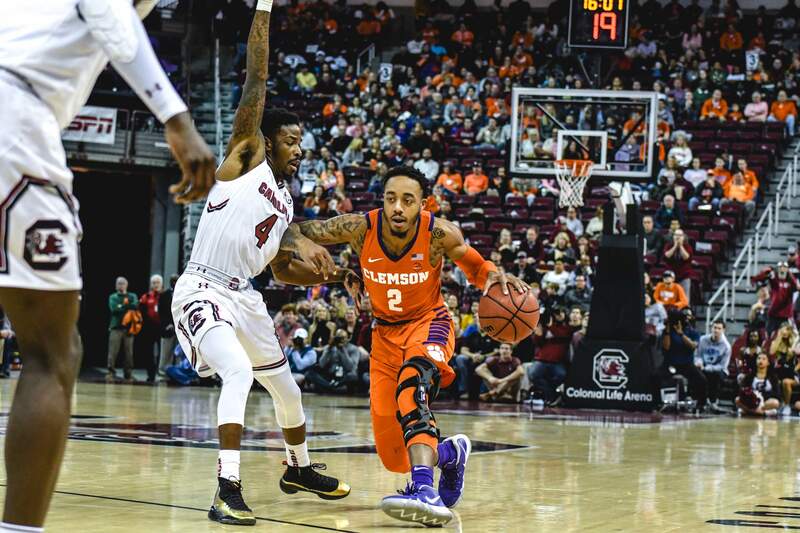 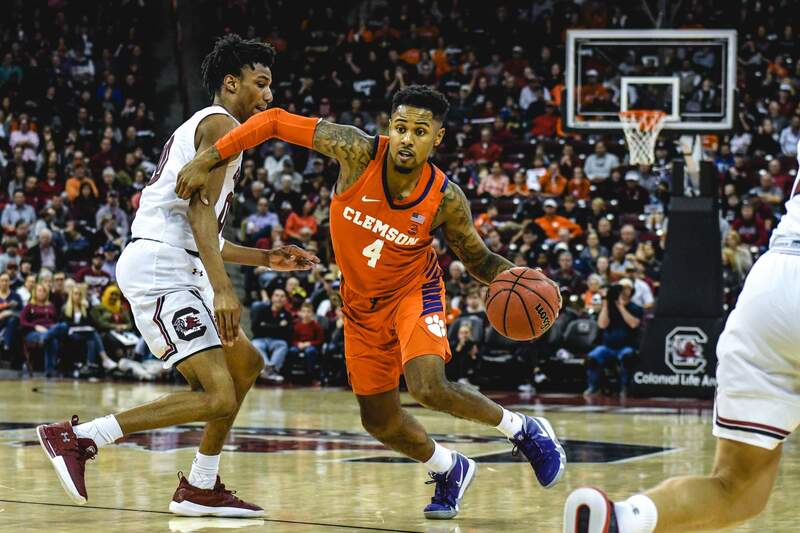 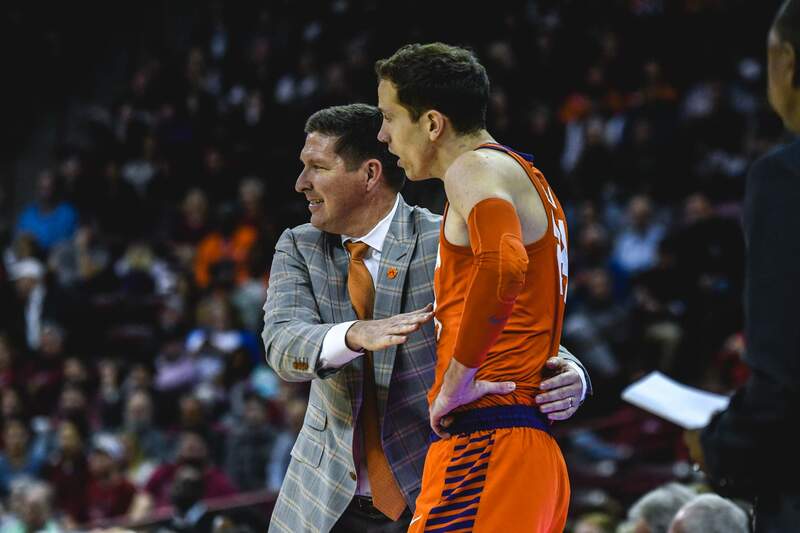 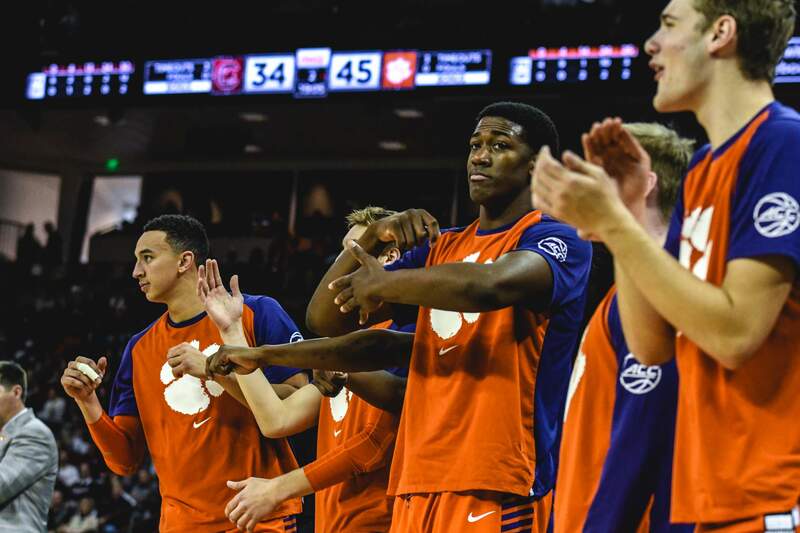 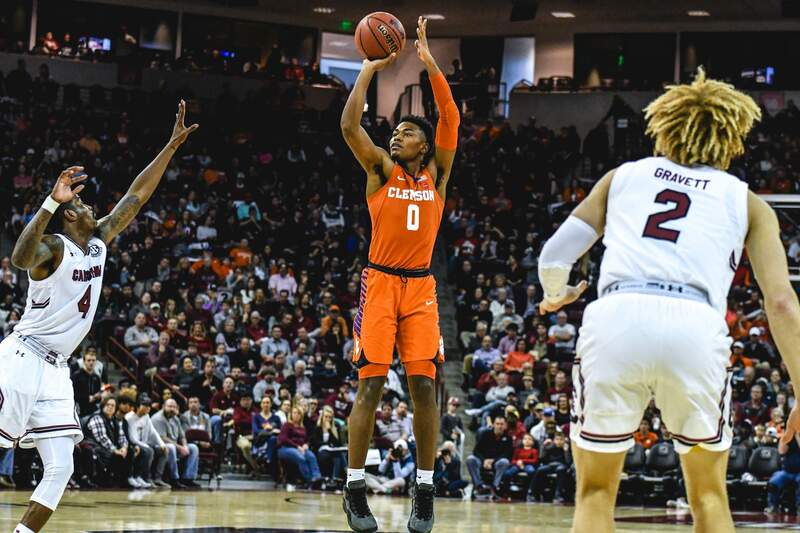 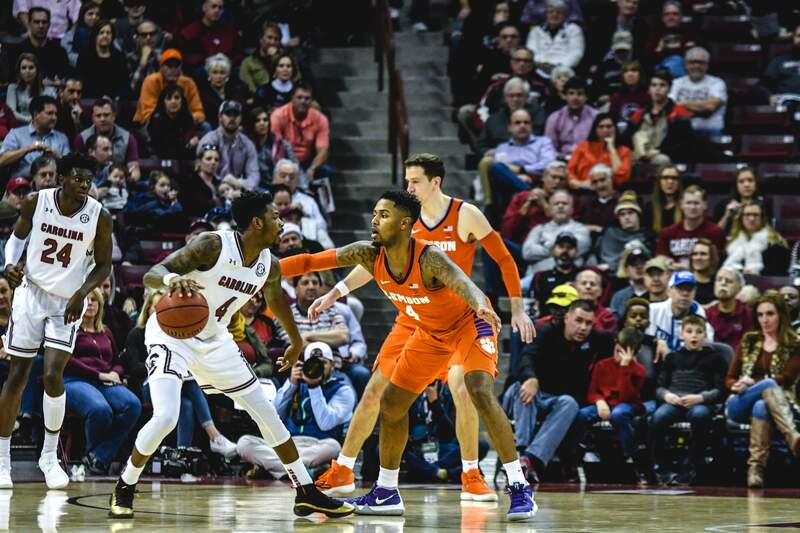 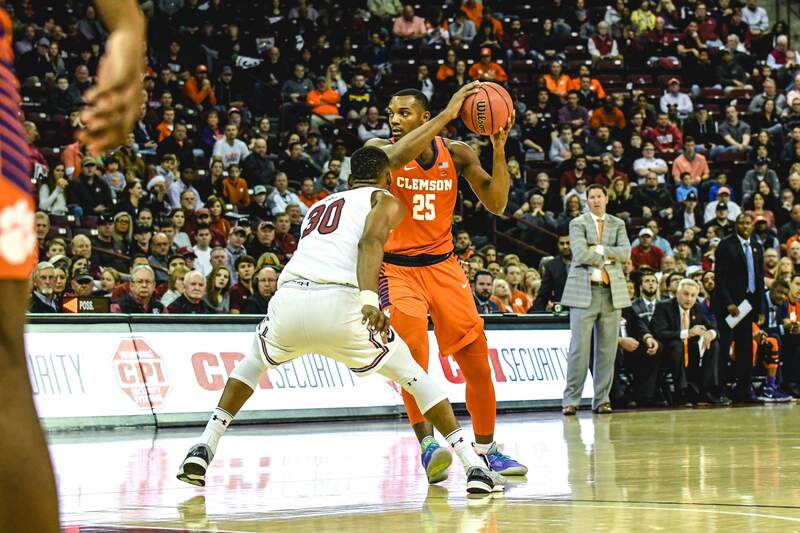 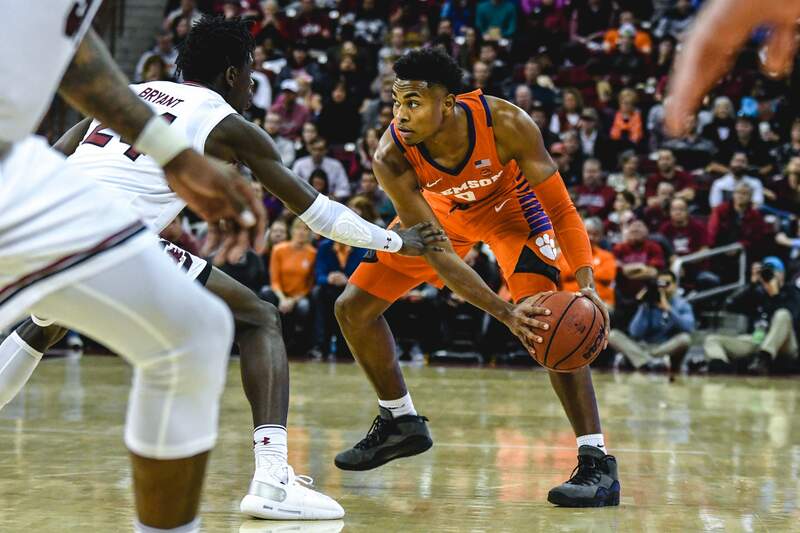 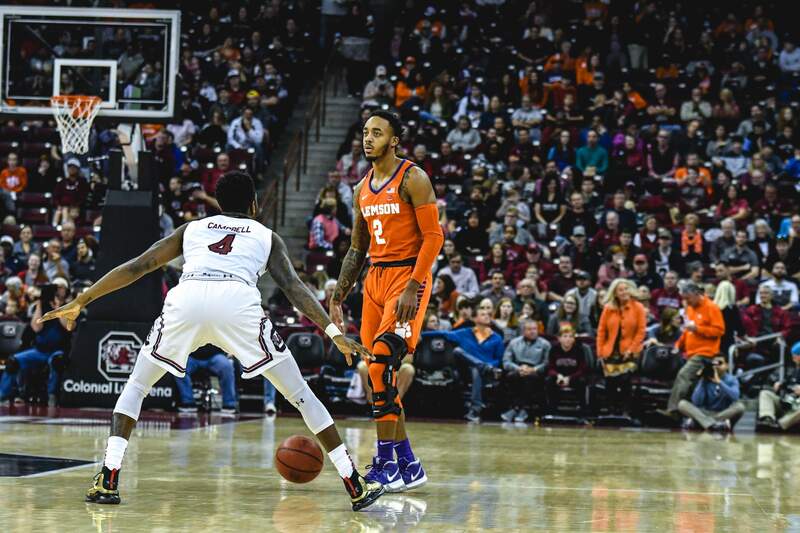 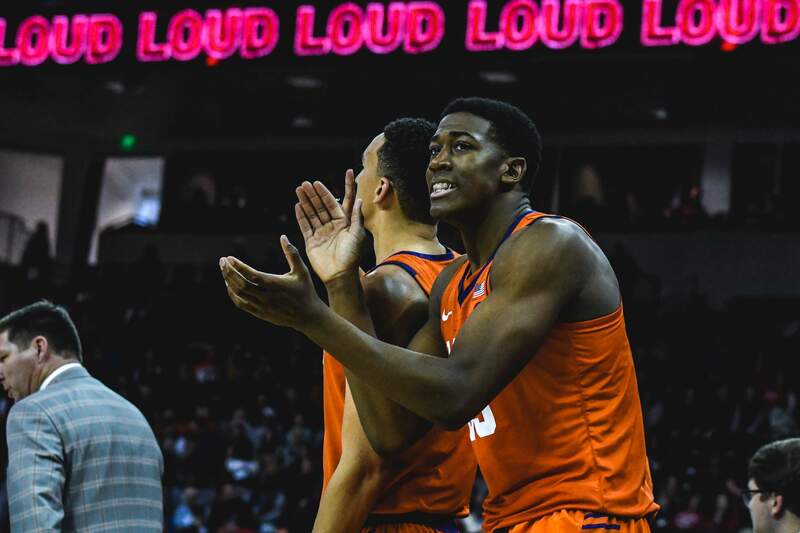 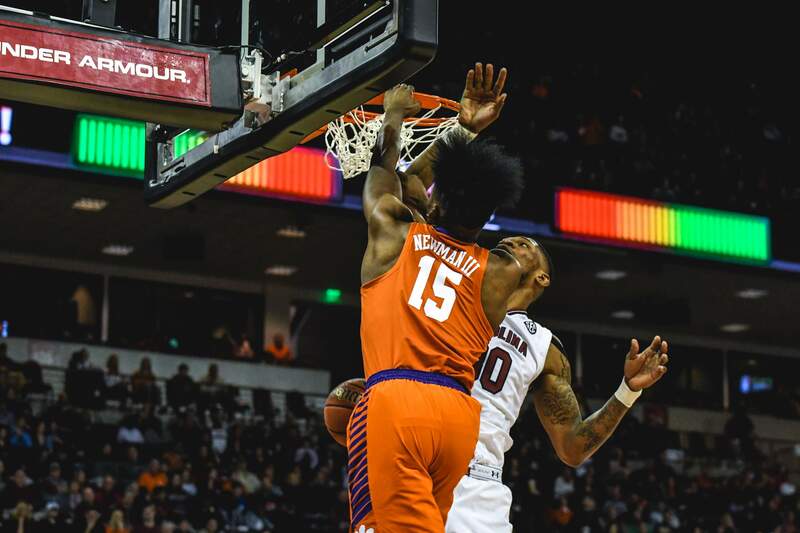 COLUMBIA, S.C. — Marcquise Reed netted a game-high 20 points in his return to the court to help lead Clemson University men’s basketball to its third-straight victory over in-state rival South Carolina, 78-68, on Saturday afternoon. 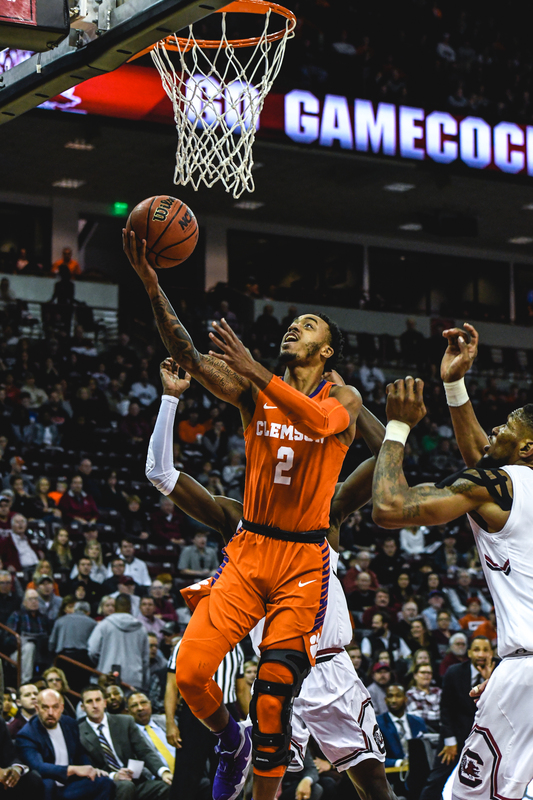 The Tigers (9-3) were paced offensively by Reed’s 20 points. 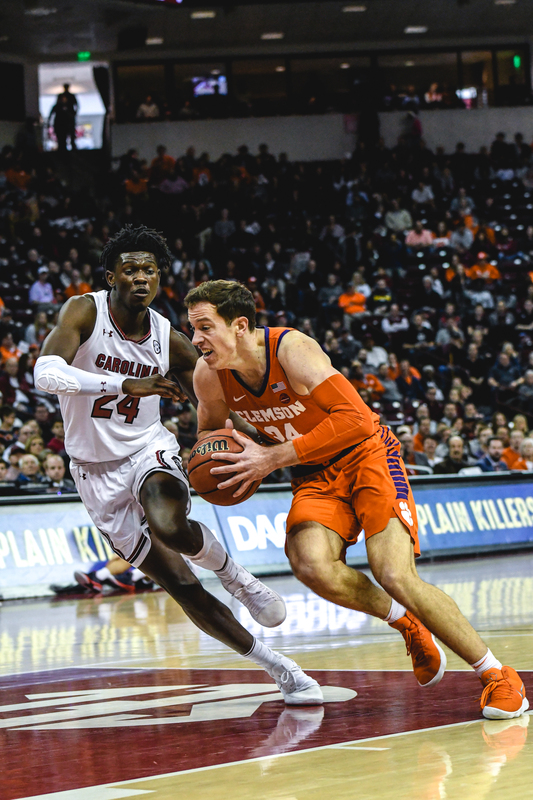 Reed also grabbed five rebounds, dished out a team-high four assists and finished with a game-high three steals in 30 minutes. 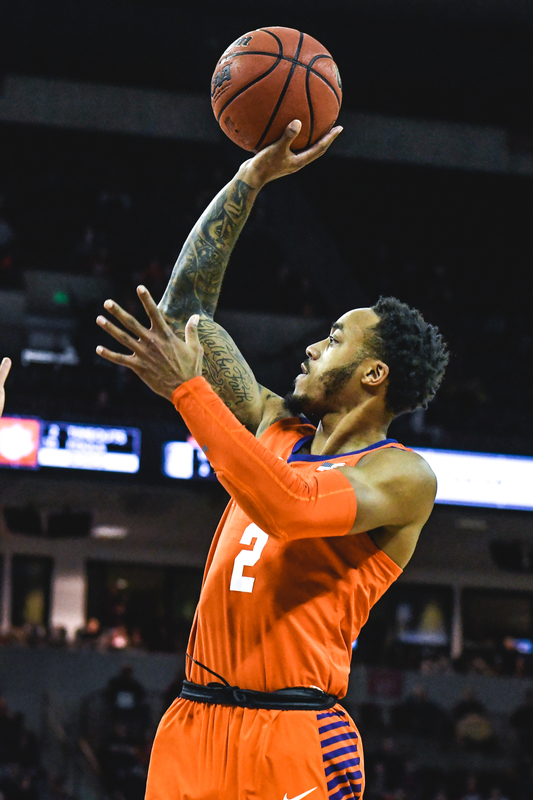 Five Tigers in total scored in double-figures on the afternoon. 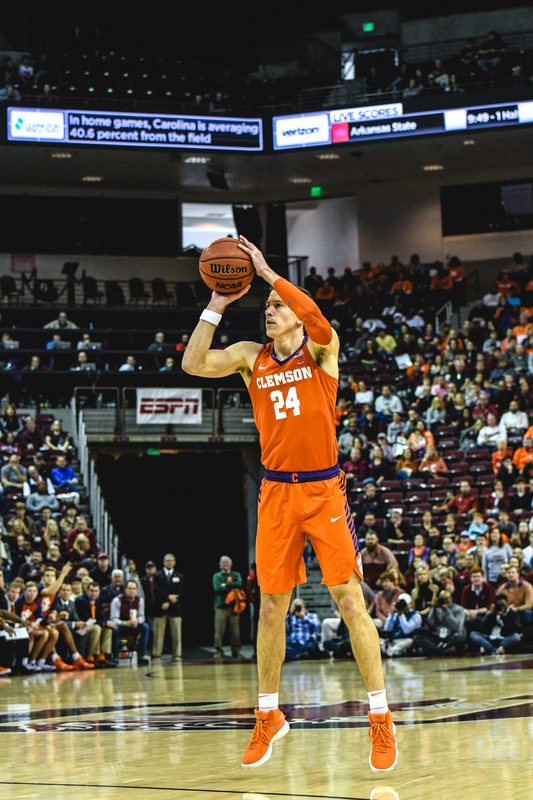 David Skara finished with 14 points and a game-high eight rebounds, while both Elijah Thomas and Shelton Mitchell notched 11 points each. 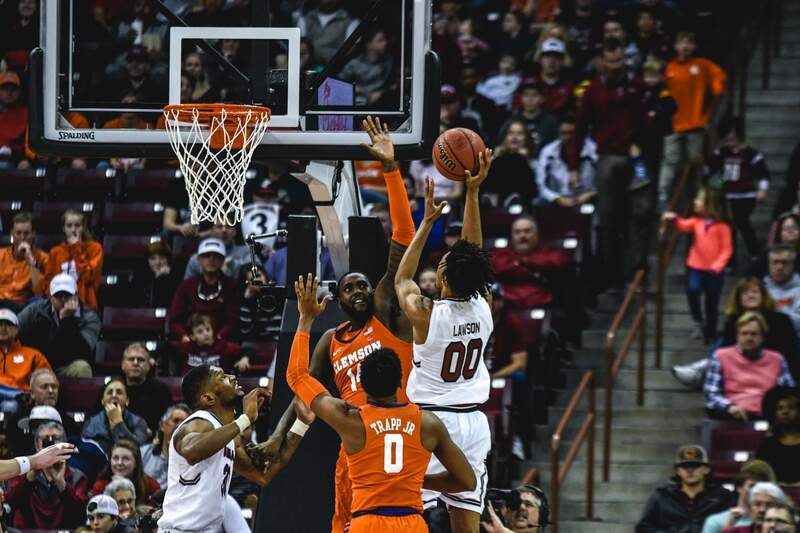 Clyde Trapp added 10. 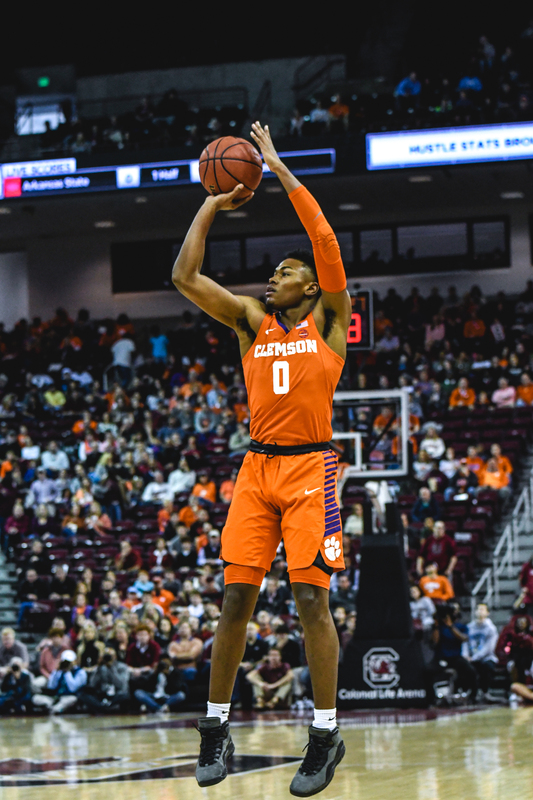 Clemson shot 61.5 percent from the floor in the opening half. 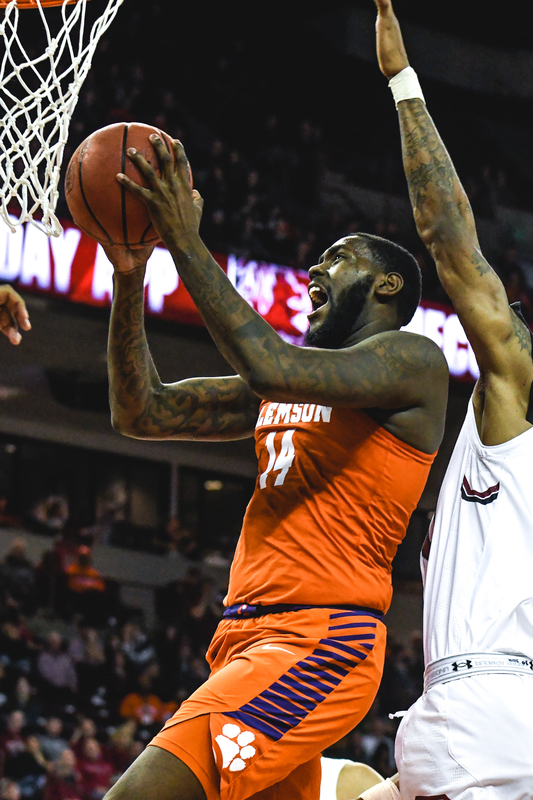 John Newman III posted five points and a season-high six rebounds in the opening half, including an emphatic two-handed slam that helped swing momentum in the Tigers’ favor. 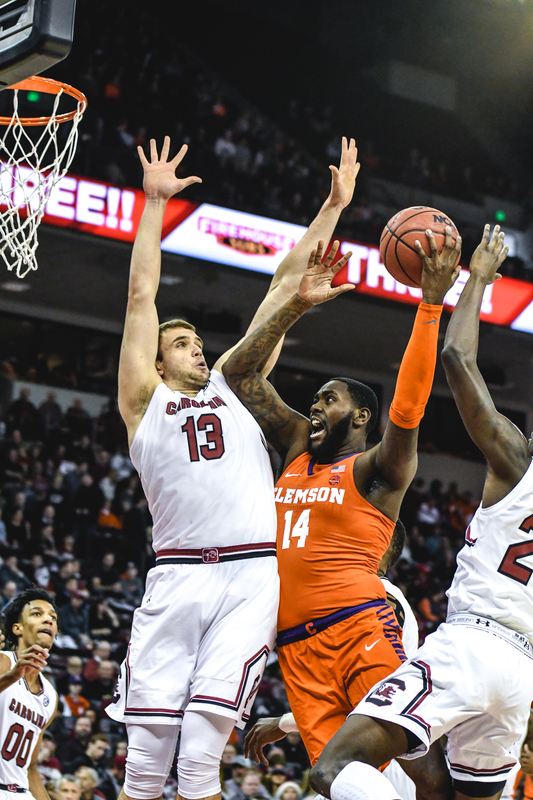 Clemson led by 11 points after the opening stanza. 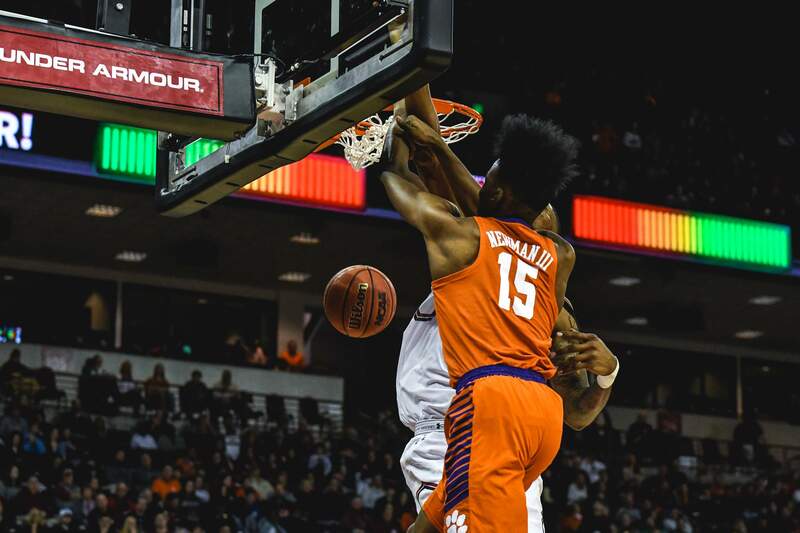 The Tigers would continue to push the pace in the second half and open up its largest lead of the game at 54-38 with 16:32 to play in the game. 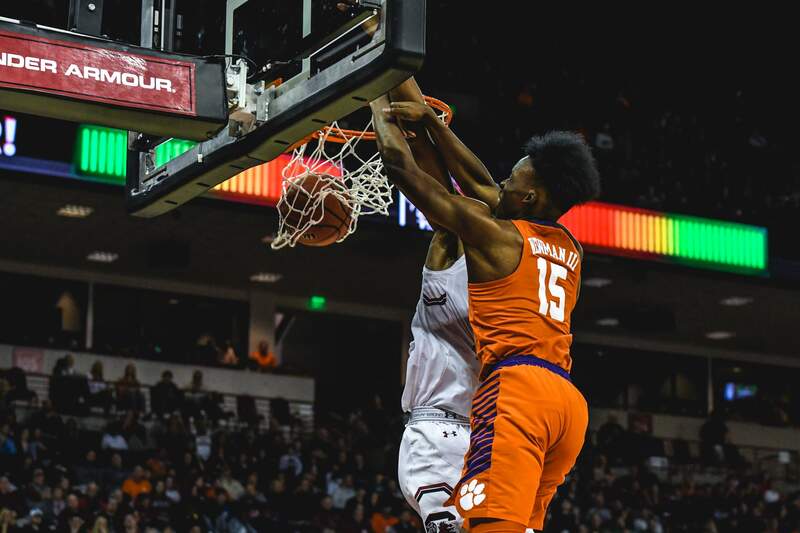 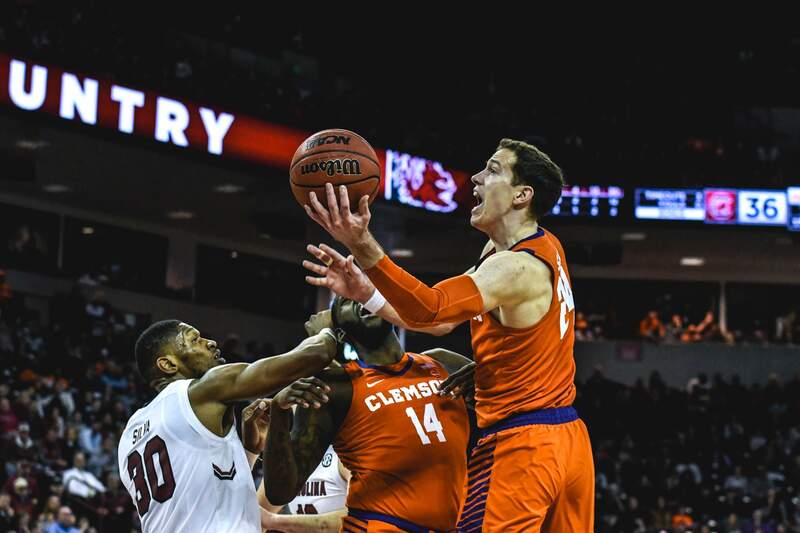 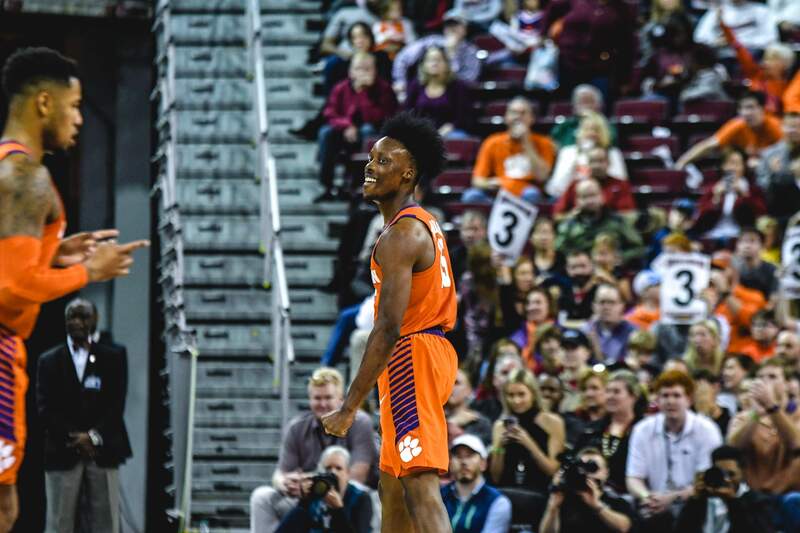 The Gamecocks (4-7) would cut the Tiger lead to just five on four occasions, but Clemson was able to keep South Carolina at bay and finish off the 10-point victory. 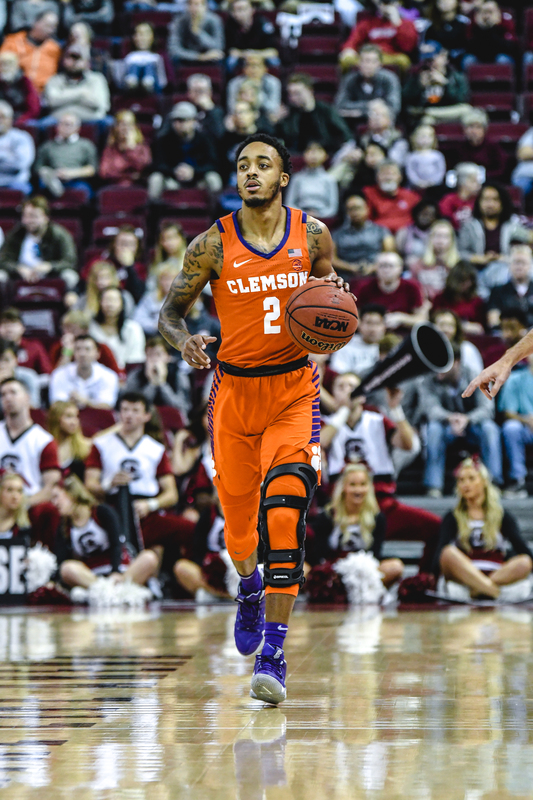 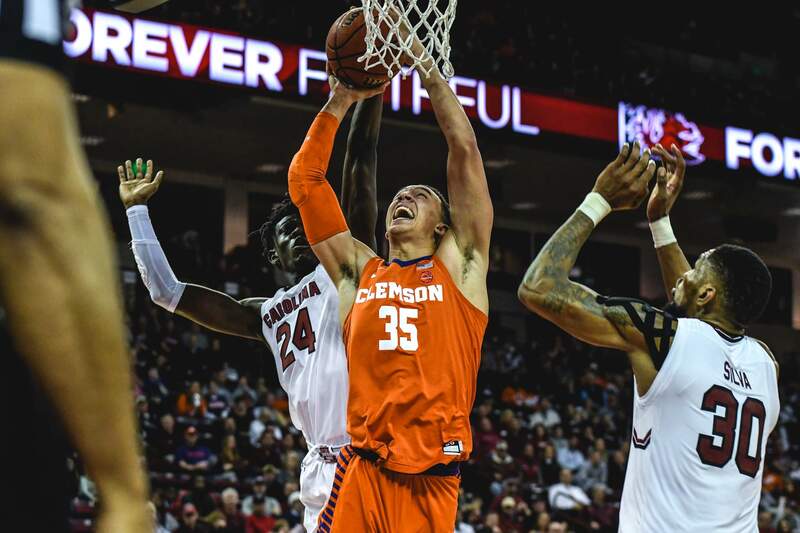 Clemson returns to the floor on Dec. 30 when it hosts Lipscomb from Littlejohn Coliseum as the Tigers close out its non-conference slate in preparation for ACC play. 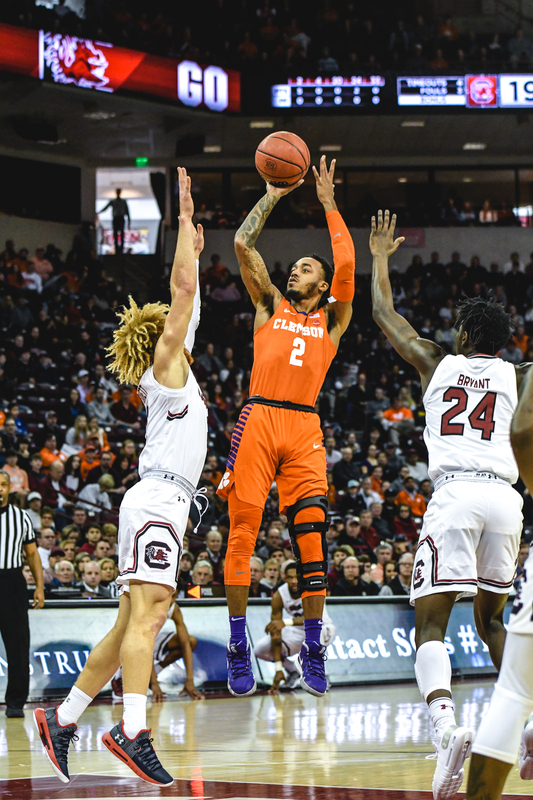 Tip time is scheduled for 3 p.m.
Notes: Clemson won its third-straight game against its rival South Carolina … the Tigers now own a 37-18 record against the Gamecocks since they left the ACC (1971-72 season) … head coach Brad Brownell won his 158th career game at Clemson and now has 325 victories for his career … Marcquise Reed netted at least 20 points for the 30th time in his career and for the sixth time in nine games this season … Reed now has 1,057 points in his Clemson career – just five away from moving into 36th on the all-time list … Shelton Mitchell has 888 career points in a Clemson uniform – just 112 points away from joining the 1,000-point club at Clemson … Elijah Thomas is one block away from tying for 10th all-time after posting two blocks tonight – he now has 125 career blocks at Clemson … John Newman III grabbed a season-best six rebounds … Clemson made eight 3-pointers, its most in a game since making nine against Sam Houston State … the Tigers shot 40.0 percent from distance – its best mark since the season opener vs. 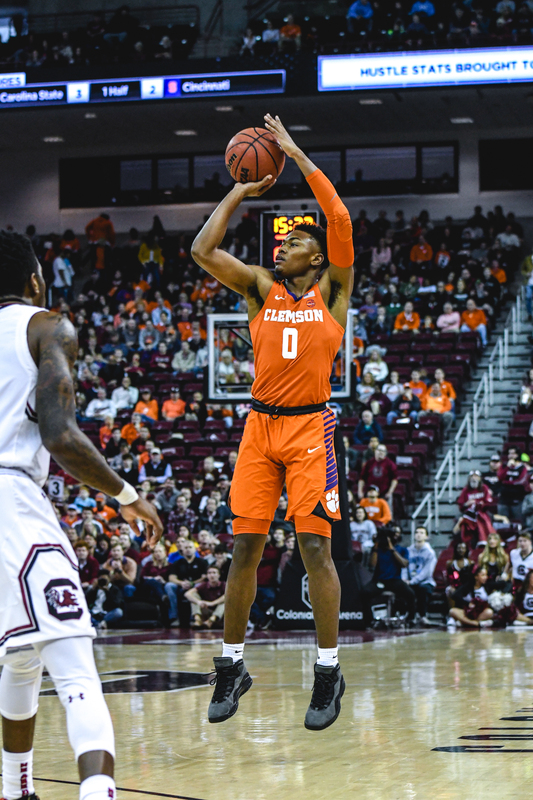 The Citadel (.423) … Clemson’s shot a season-best 61.5 percent in the first half … the 78 points scored were the most by Clemson in a victory over South Carolina since 2008-09 (W, 98-87).